You don’t have to leave your beloved crayons behind when you grow up! 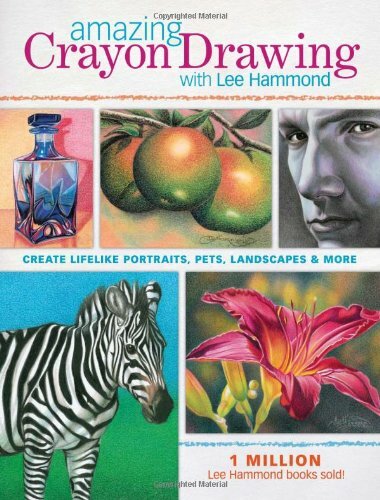 Best-selling author Lee Hammond shows you how to create dramatically realistic and lifelike drawings of a variety of subjects using the familiar and beloved medium of wax crayons. You will learn to draw lifelike animals, people, flowers, landscapes and more using simple techniques and colorful step-by-step demonstrations. 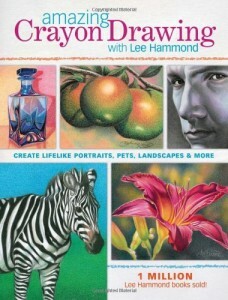 Lee shows her proven graphing and blending techniques that translate into remarkable drawings; demonstrates the shape and “puzzle piece” theories that can apply to anything you want to draw; and gives plenty of quick tips for achieving lifelike textures and colors using nothing but crayons. A professional artist and instructor for 30+ years, Lee Hammond has authored more than 25 North Light books, DVDs and CDs. She previously owned and operated the Midwest School of Art in Lenexa, Kansas and now has a studio in Overland Park, Kansas where she teaches classes. She conducts drawing seminars, gives school lectures and mentors students nationwide. Lee has also worked with television’s America’s Most Wanted and has been featured on Court TV. A contributing writer for The Artist’s Magazine, she is also licensed with many of NASCAR’s racing teams to produce driver portraits. Amazing is an understatement of what this book can teach you. I had serious doubts that anyone could reproduce the art work that this book contains and especially with plain old crayons! 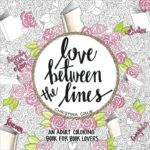 The book guides you through color, paper selection and ideas. I think the most important thing I learned from this is that you have to choose the correct paper. Don’t skimp when it comes to paper since that made all of the difference in the world. There is an easy to follow step by step guide to grid your paper to make the drawing easier. Another important step is a sharpener. I never thought that something so simple can turn a simple crayon into a means of actually creating something! I bought my crayons and paper at a discount store so that cost was under $10 and I even found the metal sharpener that made the huge difference. This is the most fun I have had in a long time and my son is even interested in trying it! Bonus! I may even include one of my drawings of Schatze for Friday PhoDOGraphy! I saw this book elsewhere and was interested in it. 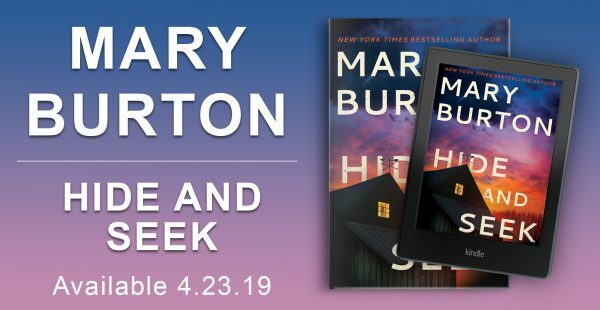 Glad you reviewed it, Mary. That is amazing! I’ve never seen someone who could color like that. 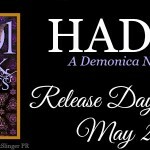 If the cover art is any indication, this does look amazing! The flower looks like it could be chalk or even watercolor. This does look like a great book. Looks cool! I want to try! Looking forward to seeing Schatze in crayon!